What makes the Arenig suite unique? 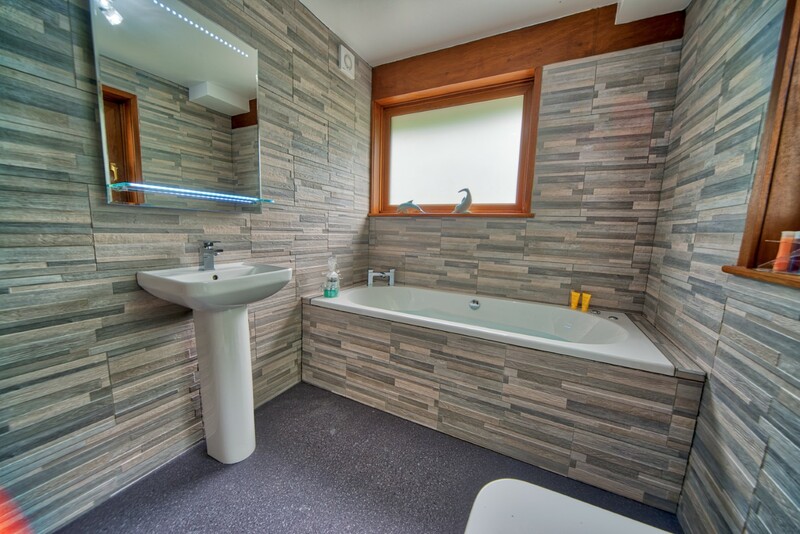 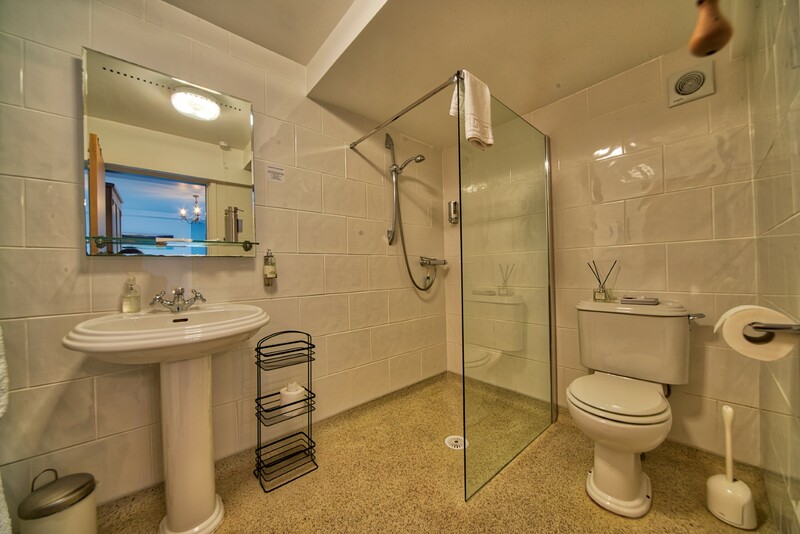 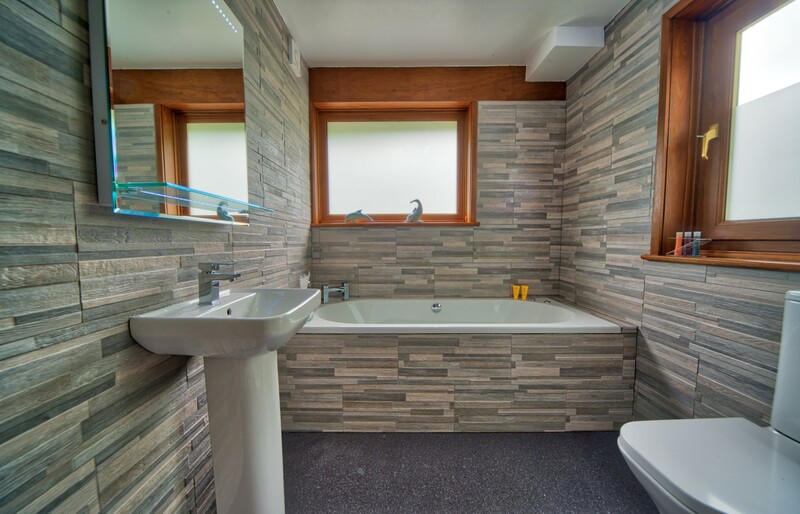 Well, all of our suites have their own en suite, however, Arenig also offers a double-ended whirlpool bath. 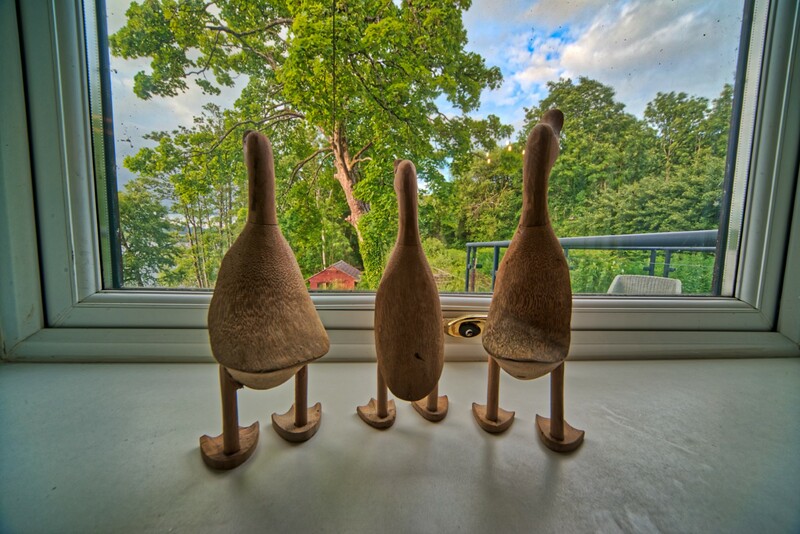 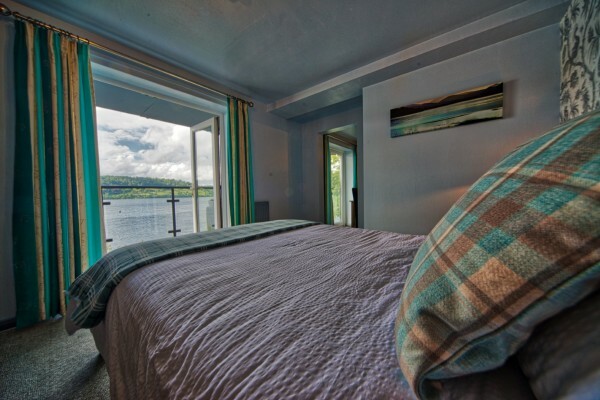 The bedroom is situated on the South corner of the house - that means you'll enjoy sunny, dual-aspect views of the lake. 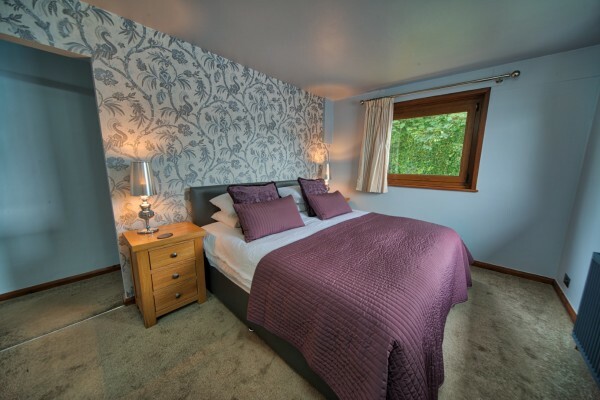 The bedroom can be configured as a twin room or super-king. 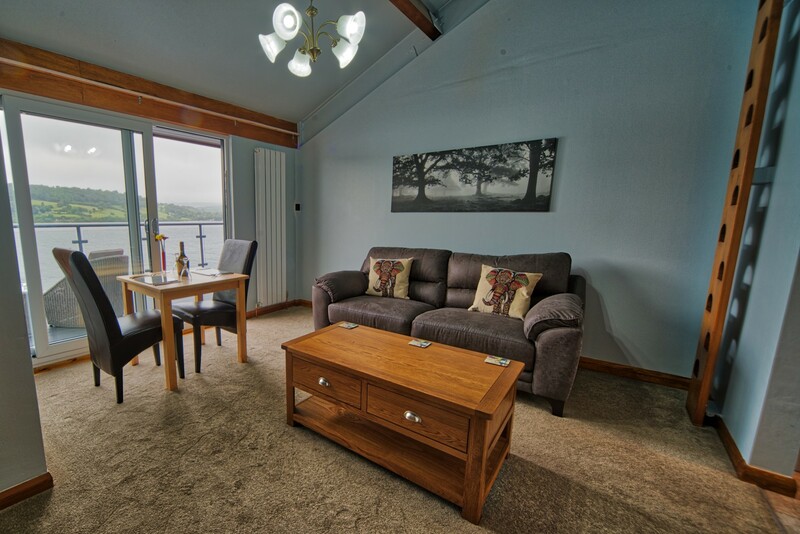 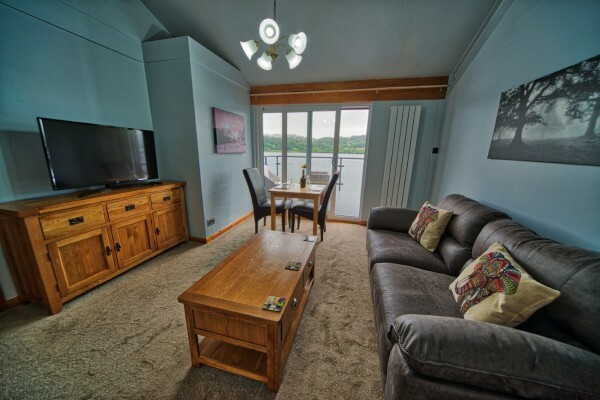 Arenig also has patio door access onto the upper balcony - perfect for enjoying your morning coffee or watching the sun set across the lake. 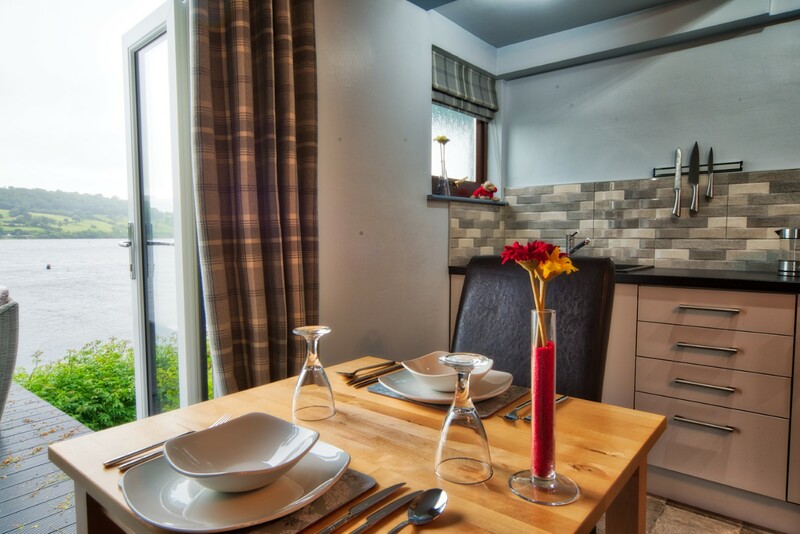 Arenig is named for Arenig mountain range; located just over the hills on the other side of the lake. The tallest in the range, Arenig Fawr, takes 2-3hours to reach the summit if you start at Llyn Celyn (a reservoir just 8 minutes down the road). Depart Glan Y Gro mid-morning and you'll be able to enjoy your sandwiches from the top. Another great suite, Drysgol has it's very own, newly constructed, lakeside balcony accessed through patio doors from the lounge/dining area. 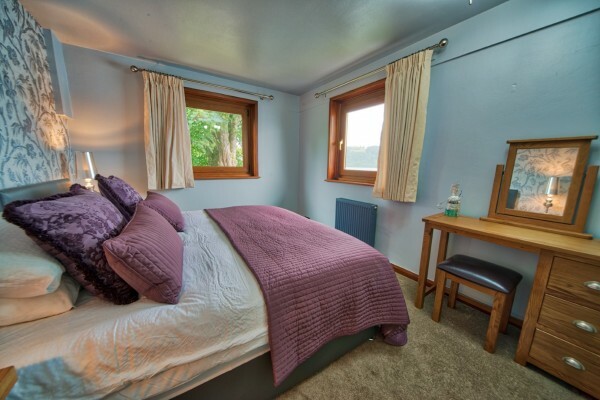 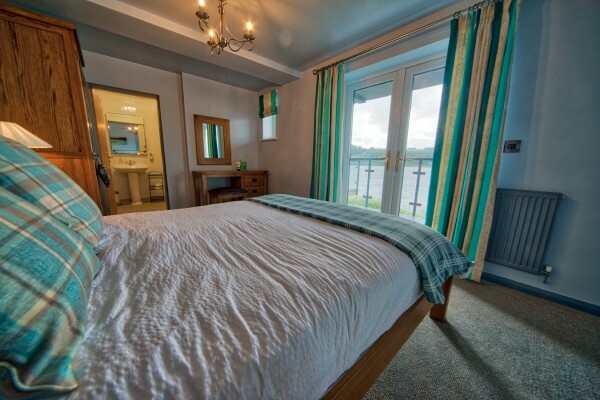 Drysgol features a double bedroom with en-suite and lake views from the bed. You'll also have a kitchenette, lounge and dining area. 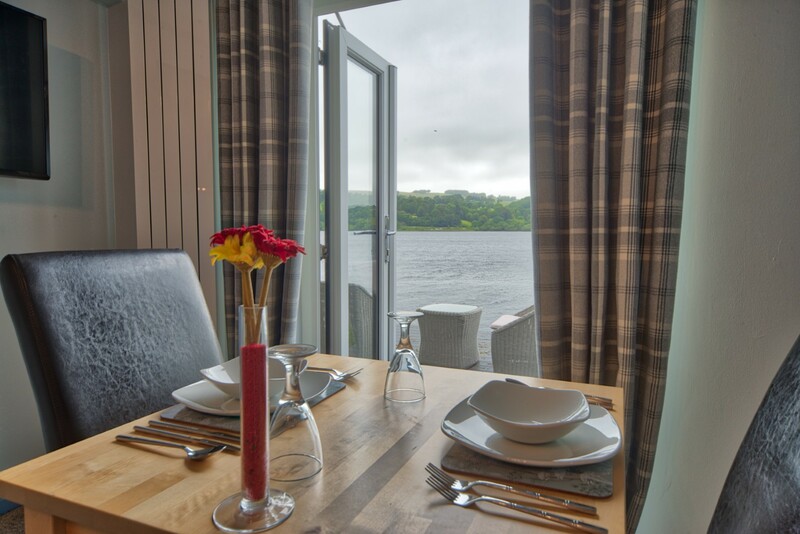 As you look down the lake to the South, you'll be able to see The Arans and their three peaks. 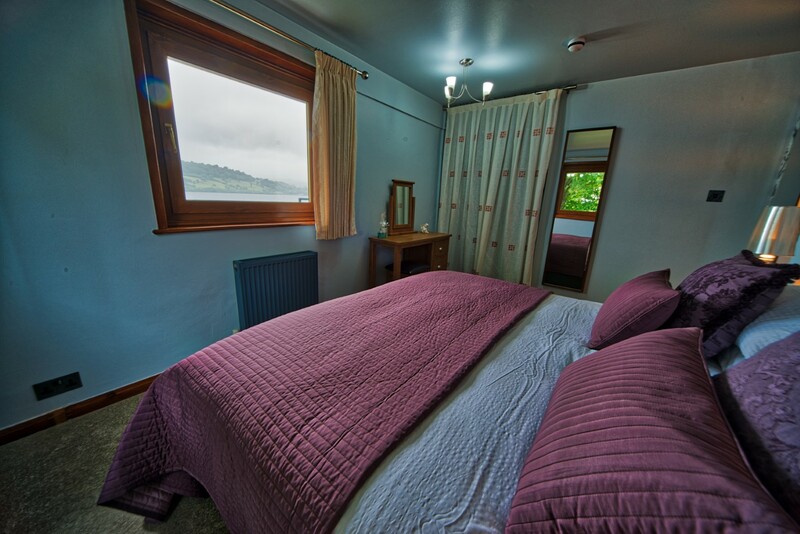 Just behind Aran lies this Suite's namesake, Drysgol. Drysgol is the first peak in a popular walk along the Aran Ridge. 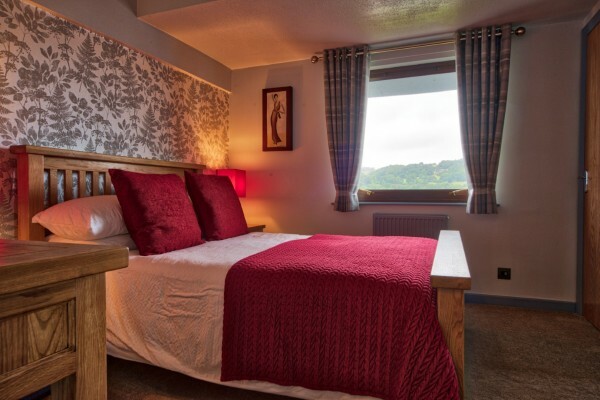 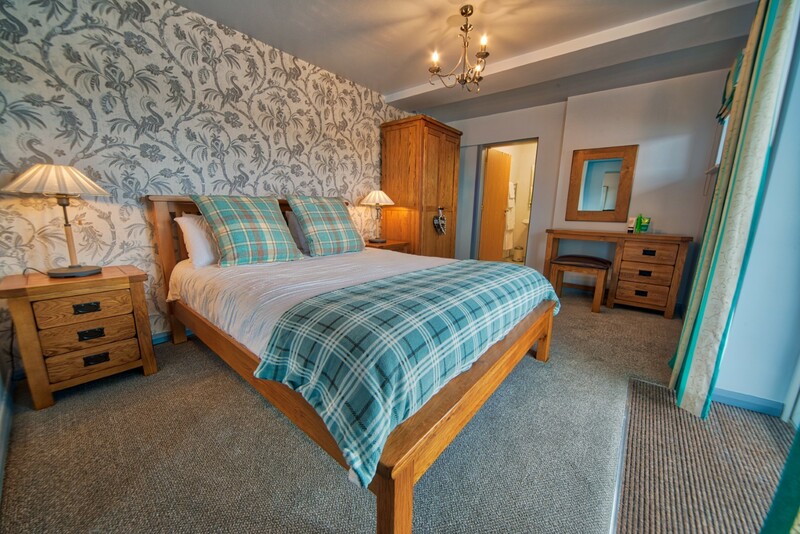 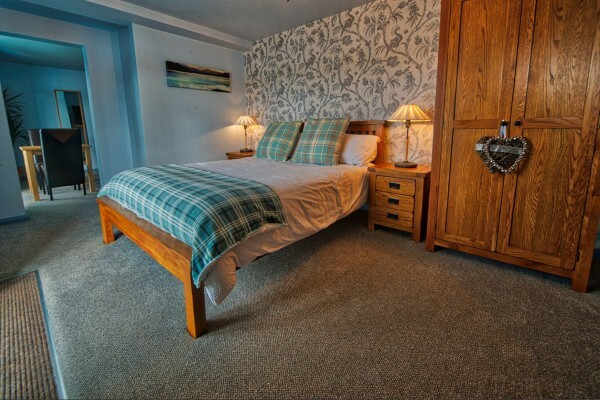 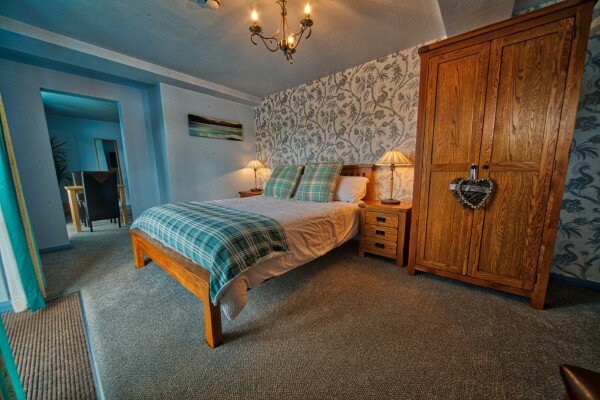 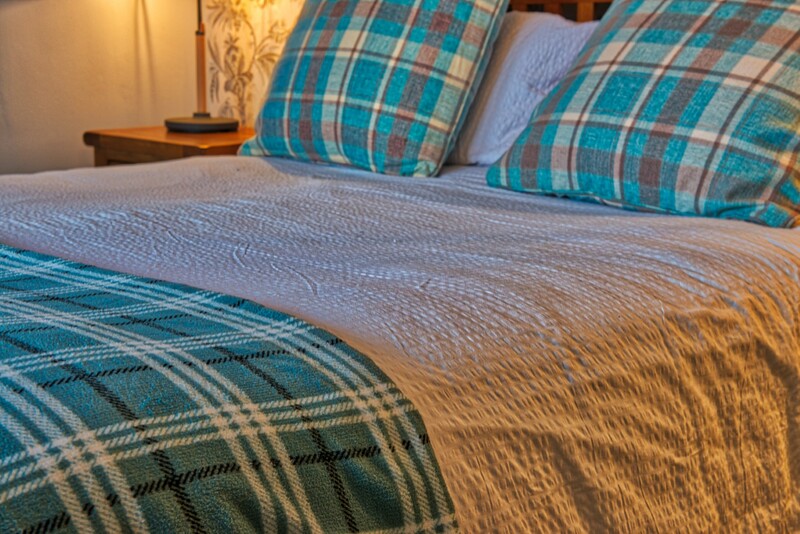 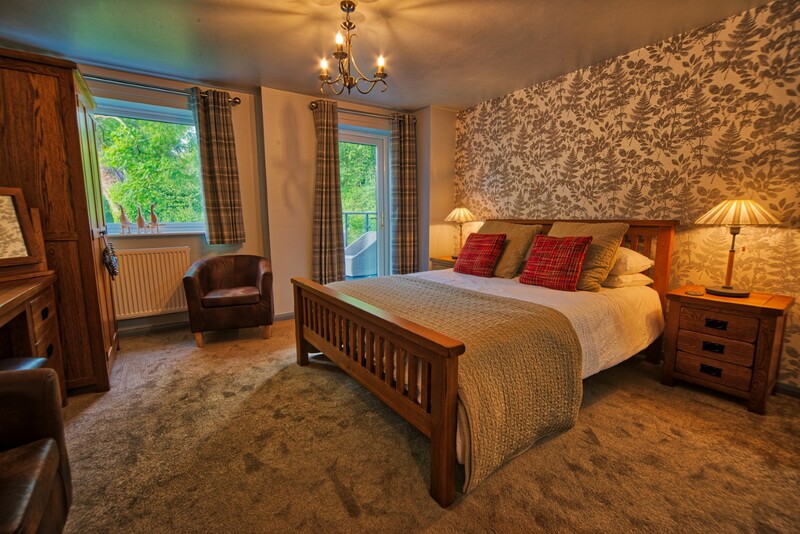 The Tegid suite contains our two largest rooms as well as a large en suite. 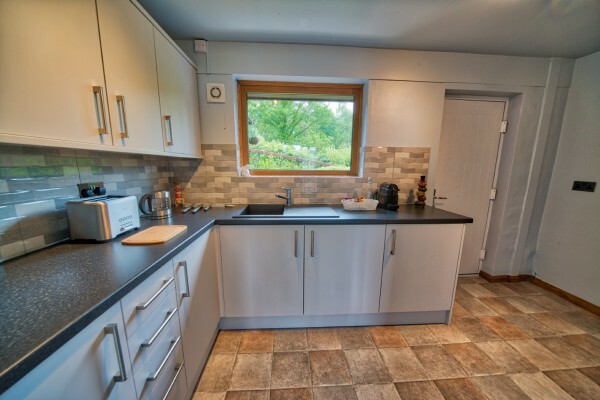 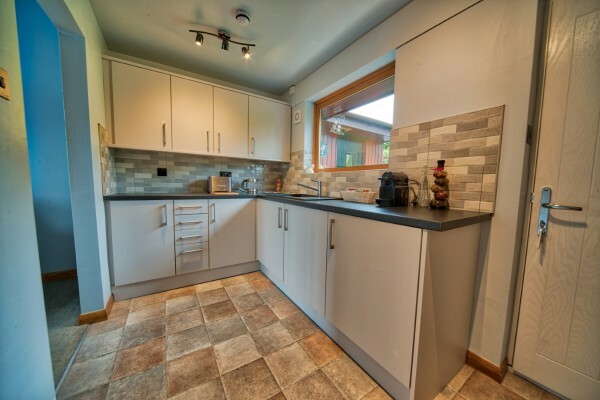 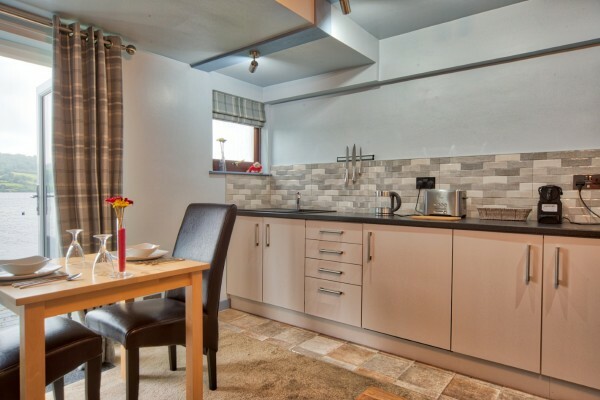 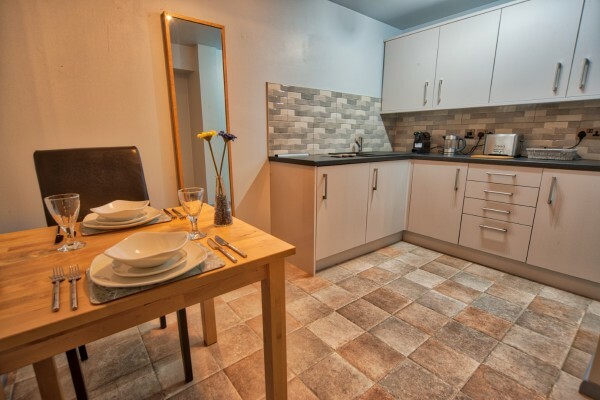 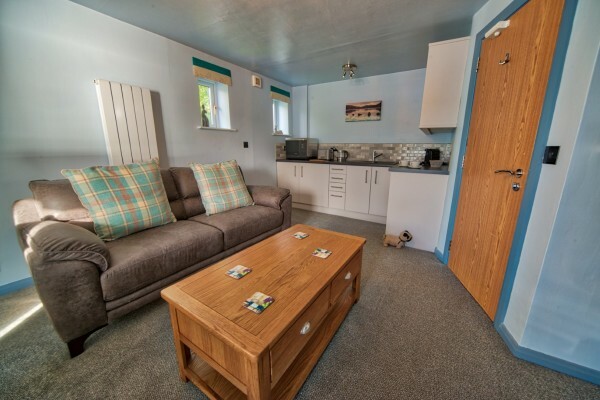 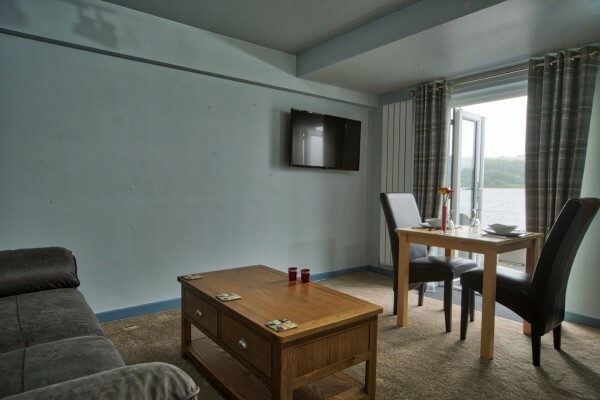 Tegid has a lounge & dining area with a kitchenette. 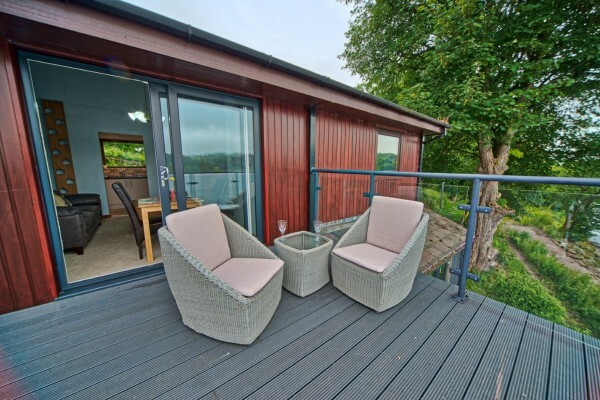 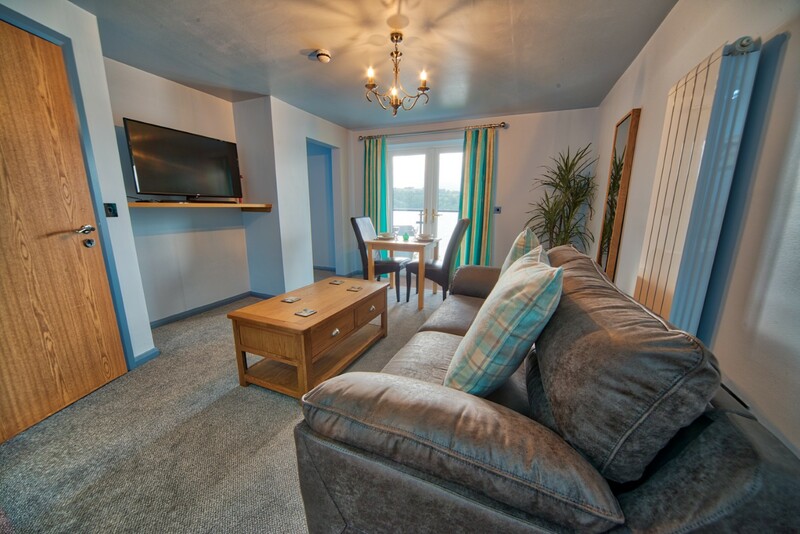 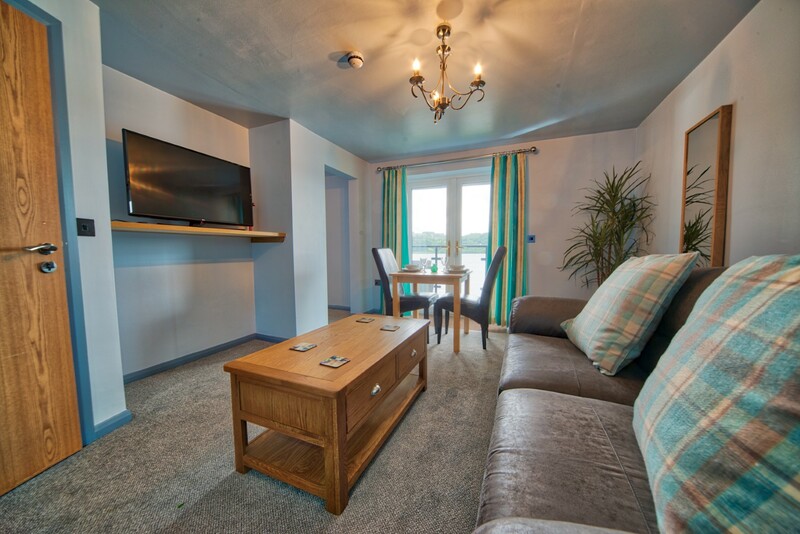 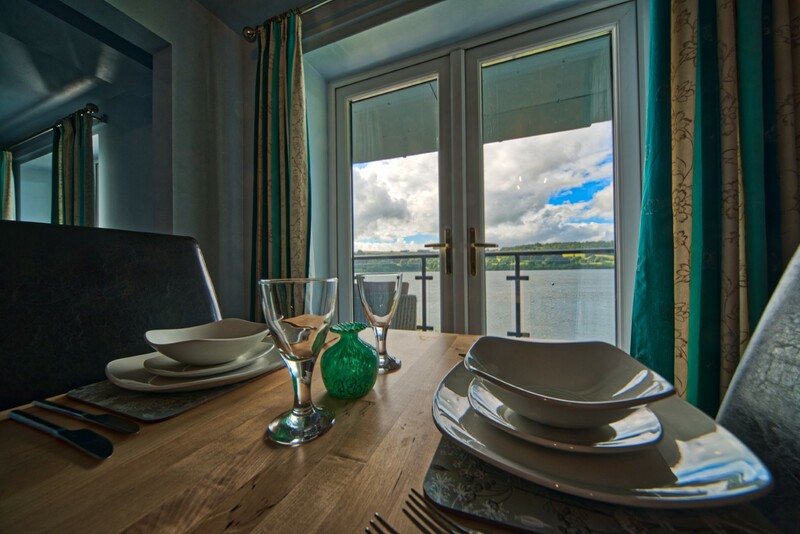 Tegid is unique for its patio door access to the lower balcony from both the bedroom and from the lounge area - you'll enjoy stunning views across the lake from wherever you're sitting. 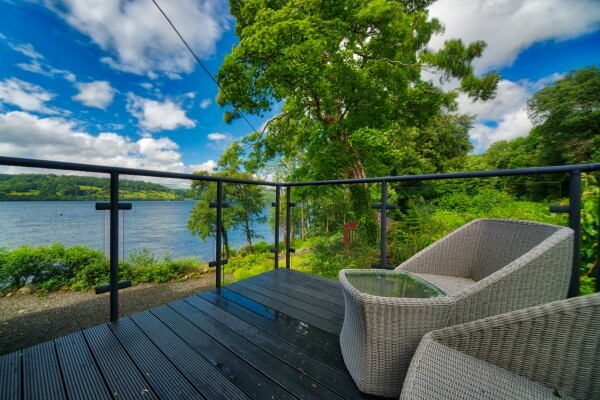 Ah, Tegid. 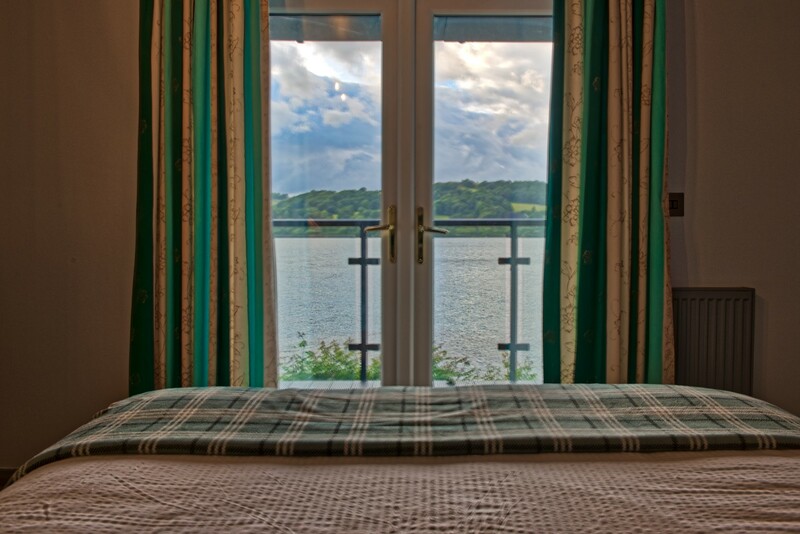 This suite is named after the amazing, the glorious, the magnificent Llyn Tegid. 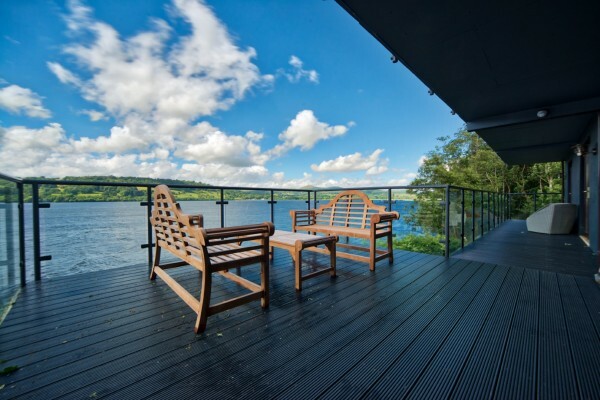 That's Bala Lake's proper name. Llyn Tegid is about 4miles long stretching from Y Bala down to Llanuwchllyn at the Southern end. The lake is about half a mile across too, that makes it the largest natural body of water in Wales. 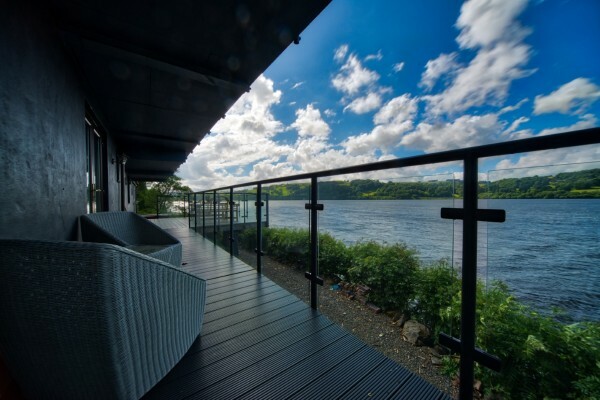 Llyn Tegid also has it's very own monster; look out for Teggie! Vyrnwy, although our smallest suite, definitely has its advantages. 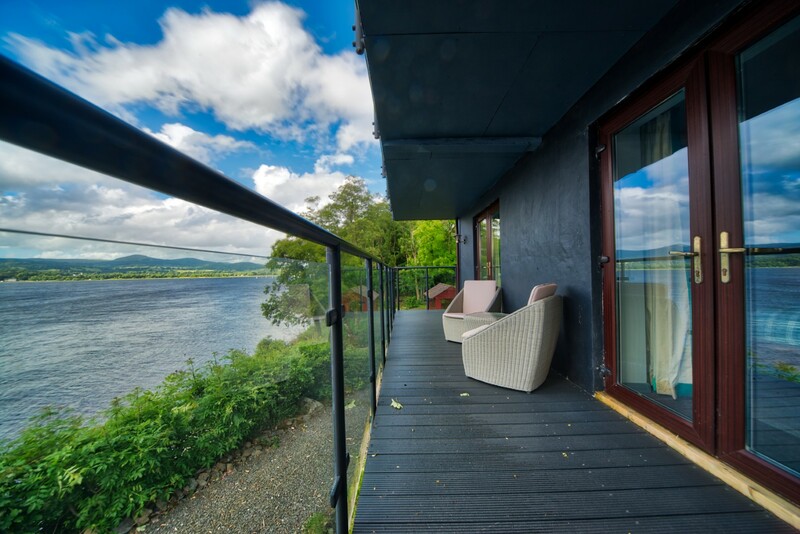 This suite has it's own private balcony on the side of the house. 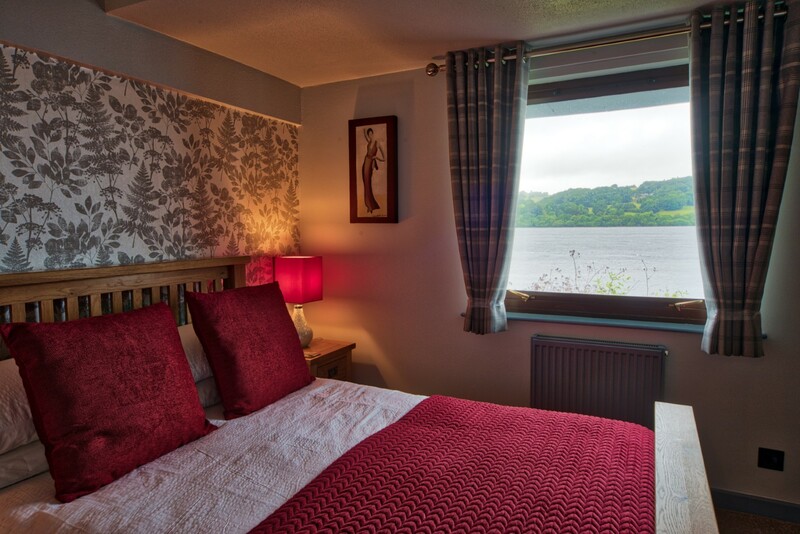 From here you'll be able to see the Lake's foreshore - look out for the otters and our resident buzzard - and all the way across to Y Bala. On top of that, you get a great view of the quaint, narrow-gauge, steam railway which bisects the grounds at Glan Y Gro. Many of our guests travel from the North-West of England, from Liverpool and the surrounding areas. If that's you then you might already know Lake Vyrnwy - it's where your drinking water comes from! 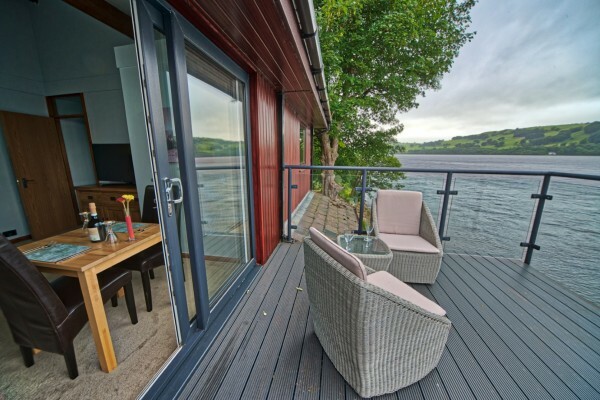 Afon Efyrnwy, the proper Welsh name, contains almost 60gigalitres of water - that's quite a few cups of tea - and has a shore length of 12miles. 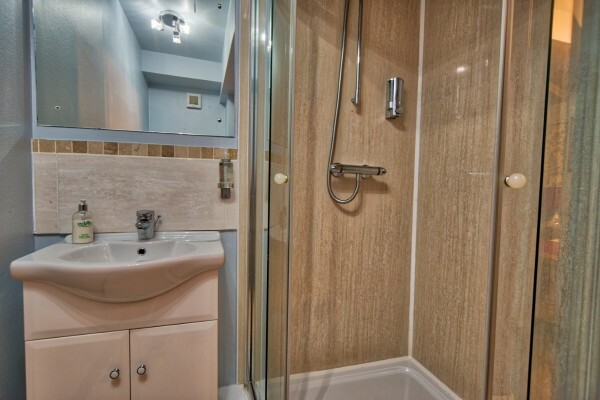 ©2019 All Rights Reserved, Glan Y Gro Ltd.